April is Autism Awareness Month. I feel it is appropriate to discuss this disease and its fast rising incidence. 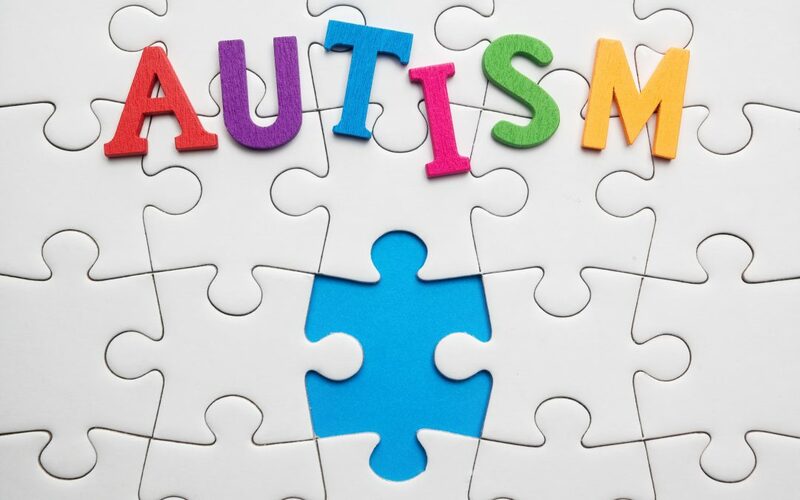 There substantial evidence that Autism is closely associated with High Oxidative stress due to unusually low GLUTATHIONE levels in the brain. One of the major reasons for low GLUTATHIONE levels is that GLUTATHIONE is the main removal mechanisms for toxins. When GLUTATHIONE removes toxins from the body & brain, it also removes itself as it attaches to the toxin, changing it from fat soluble to water soluble so that the liver can break it down. Take a look at this graph . Glyphosate is the active ingredient in RoundUp and is sprayed heavily on GMO crops. It is also sprayed on wheat to assist in the harvesting. 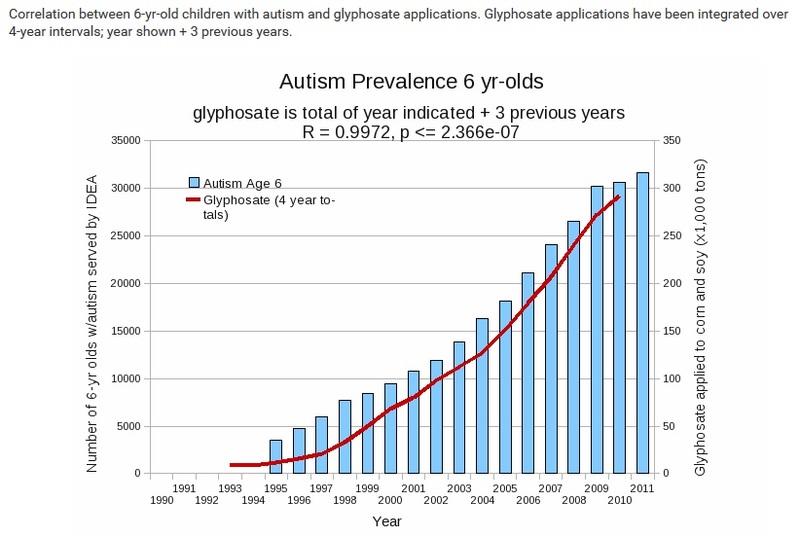 You can see the close correlation between increased use of Glyphosate and the rise in the incidence of Autism. Although the official stance is that Glyphosate is not harmful to humans, the same was said of DDT until found otherwise. Following are 3 published and reviewed studies indicating exactly that. These are published on the U.S. National Library of Medicine & National Institutes of Health. Brain region-specific glutathione redox imbalance in autism suggests that malfunctioning levels of brain GLUTATHIONE may contribute to oxidative stress (cellular damage), immune dysfunction and apoptosis (cellular self-destruction), particularly in the cerebellum and temporal lobe, and may lead to neuro-developmental abnormalities in autism. Glutathione redox imbalance in brain disorders summarizes that increasing levels of GLUTATHIONE in the brain (through supplementation) offers a promising approach to treating numerous brain disorders, including Autism, schizophrenia, bipolar disorder, Alzheimer’s disease, and Parkinson’s disease. Evidence of oxidative damage and inflammation associated with low glutathione redox status in the autism brain indicates that decreased GLUTATHIONE and associated componenets plus increased oxidative stress in the autism brain may have functional consequence resulting in chronic inflammatory response and oxidative protein and DNA damage. We certainly can’t claim that raising GLUTATHIONE will cure Autism but research shows that if oxidative stress and low GLUTATHIONE are factors in Autism and that Oxidative stress itself is attributable to decreased levels of GLUTATHIONE (that can be caused by high toxicity), then raising GLUTATHIONE production in those with Autism should decrease oxidative stress and potentially alter the path of the disease.